This is a photo of us in our dancing clothes. 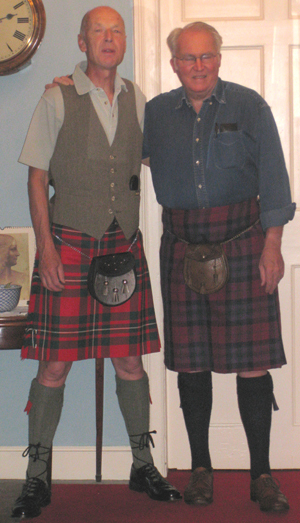 We dress up when it’s appropriate and dress down for work – kilts are not our standard day wear! This letter is to tell you of the highlights of this year - it's been a busy year in many respects - perhaps one of the busiest we’ve spent in some time! And there’s actually lots more to tell than what's here - like the new workshop and little guest flat. These two will be up-and-running by the end of January 2010, so visitors will be most welcome to come and try out the flat. Should be a great asset to our guest facilities – which we hope have not been bad in the past. But now - - - well come and sample what we’ve got to offer now!!!! 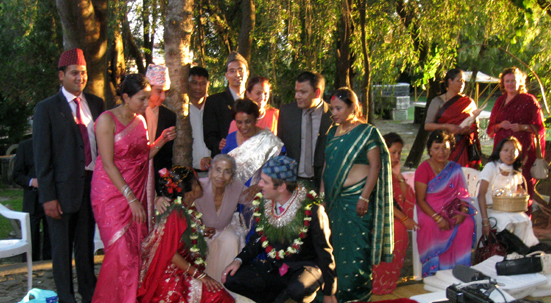 This year we’ve had an amazing three weddings in three weeks in September, an Iranian lady marrying a French Jew, two lovely boys celebrating their Civil Partnership after twenty-five years of togetherness and then, the most exotic of weddings in Kathmandu, with Nepalese Subi and nephew Tom. In addition to everything else you'll see on this Christmas page, we are still keeping up with the sponsorship of our Zambian students. More new sponsors are required (we've lost some of the sponsors that were helping us out and so Johnny and I haven't had the heart to drop them and so have taken on the burden ourselves). So if you have a few pounds/dollars/euros/anything at all!!! to spare to help it would be appreciated if you can manage. Anyway, as you can see from this letter we don’t do too badly for a couple of retired old farts! Johnny sometimes cannot get his head around skiing straight off, but by the end of this day in Newtonmore in the Highlands he was almost into it. 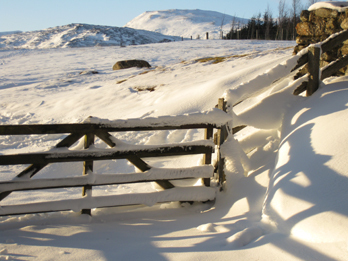 Lovely hills and lovely snow, it’s his skill and knees that let him down. Work, work, work! The constant pressure got us down and we just had to get away to the Mull of Kintyre (Grant’s ashes are going to be scattered there but we were darned if we could find the right spot – wothehell, it’s all lovely). 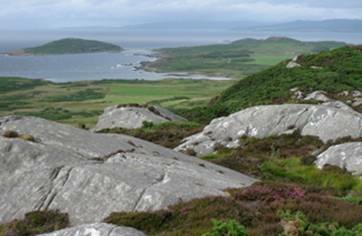 We could see over to Northern Ireland from the Mull and from Gigha – and right up to Skye in the North. We hired cycles (don’t you dare ask why we didn’t bring our own – and if you do, the answer is the onset of dementia) and cycled around Gigha, did some great walks, and enjoyed the excellent local food in the local hostellery. 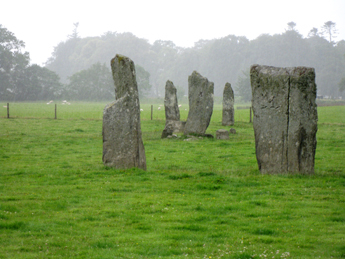 Standing stones at Kilmartin, (an alternative scattering of the ashes spot) and, from about 2000 years later, some spectacular Medieval stone carvings in the graveyard there. 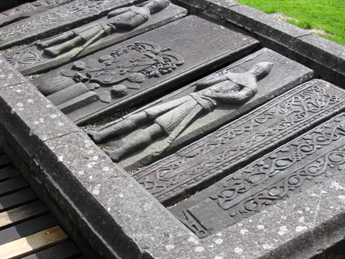 It’s a place of remarkable history – my, the Celts must have been really tough! Another day out to the hills but one of the few days that we had as we seemed always to be too busy. 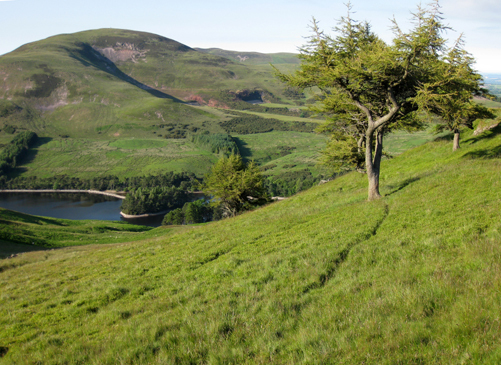 The Pentland Hills are so close to Edinburgh, and easy to get out to and back from by bus. We could go every week but we don’t – we must get things into order next year and get fit for the Nepal walk that never happened this year. 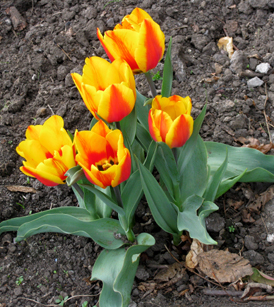 The tulips are Mr Jap’s memorial tulips and the best allotment produce photo we’ve got. Will do better next year. 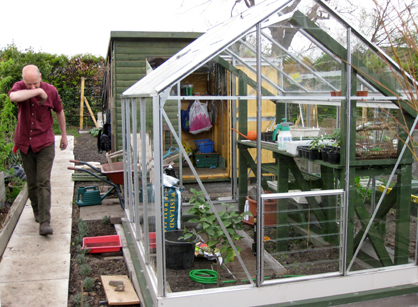 The allotment produced a vast quantity of food – always seemingly all at the same time. For a while we had difficulty giving it away. But it gave us both a great deal of pleasure. 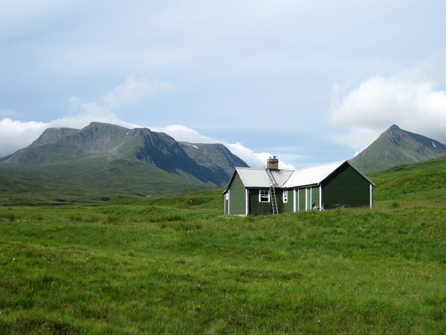 Culra Bothy after the make-over (left) and before the chimney repairs which were done only this month in the midst of the coldest snap of the year. 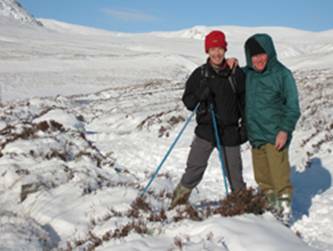 That’s Ben Alder straight behind and Lancet edge to the right of the picture – what a setting! 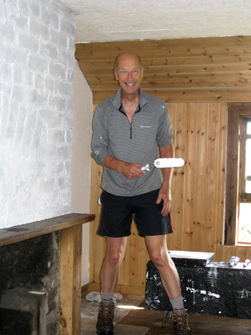 Johnny having a happy moment painting the small dormitory (right). 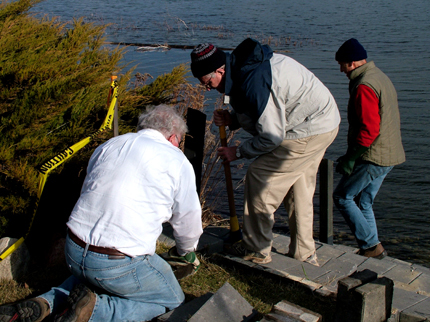 Grant, Ian Burn and Johnny fixing the steps of Ian’s jetty at Lake Wabamun (a big lake west of Alberta’s capital Edmonton) that had been damaged by drifting pack-ice – Canada is a place for toughies. What a great time we had with the Burns, and with George Shipley and Veda helping out in good style. 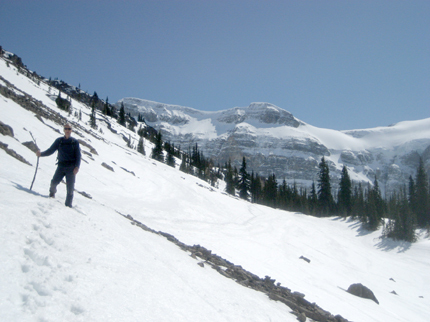 Johnny on a snow slope at Barrier Mountain near Bow Summit in Banff National Park (in May!). We also spent several lovely and enjoyable days with Joe and Inge Lang in Jasper – where it didn’t look quite as wintry as this photo would lead you to believe. Grant’s Mom’s funeral was sad and the end of an era for Grant, Sharon and Pat. Nevertheless we could, in the true Kanten spirit, have a traditional ‘pot luck’ party at The Old Farm. It was great to see everyone again, and to mark the end of the era of Grant’s parents with this occasion. However, even when we left Canada on 6 May, there was still no sign of any green grass out on the prairies, and there was still snow lying on the north sides of buildings and on the north sides of shady trees! We have to say that summer was already in full swing when we got back to Edinburgh. 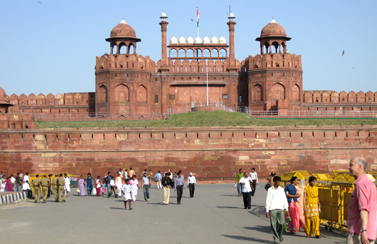 Delhi was wonderfully exciting and interesting. 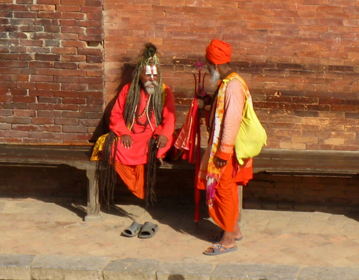 But Nepal with Kathmandu and Patan were definitely the most exotic places we’ve ever visited. We loved it!! 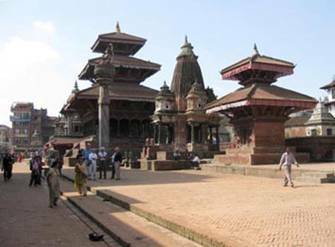 Patan Durbah Square World Heritage site, right outside The Third World Guesthouse, where we stayed for the six nights of the Tom and Subi celebrations. 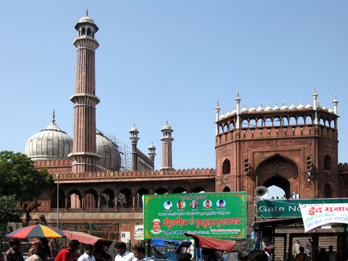 Just look at the architecture in the photos above. 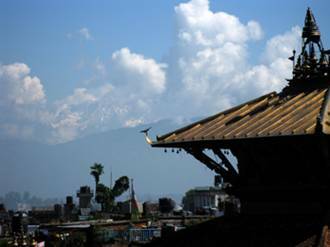 Incidentally pagodas are a Nepali invention and were exported to Japan and China. 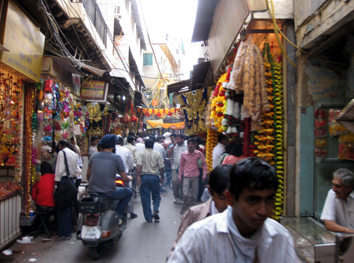 Hindu, Buddhist and animist beliefs are all represented here. In the end we couldn’t work our whether these two characters on the left were genuine – or just laid on for the tourists – or were there to take advantage of the passing tourists! 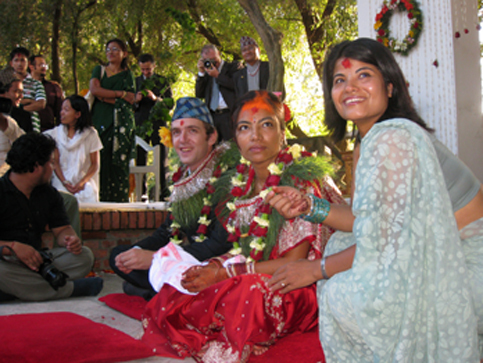 The wedding was carried out by Subi’s mother with instructions from two Brahman Hindu priests. 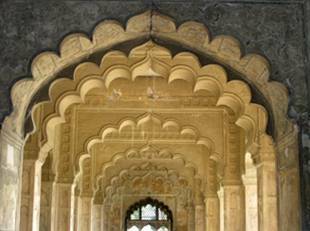 What was particularly wonderful is that the wedding took place in a Buddist temple It was short for a Hindu wedding – only about an hour sitting on mats on the temple floor. It included a lot of wonderfully colourful ritual and symbolism. The mix of the georgeous silk saris, the kilts from the Scottish contingent, and the Nepalese national dress couldn’t have been more exotic and rich. 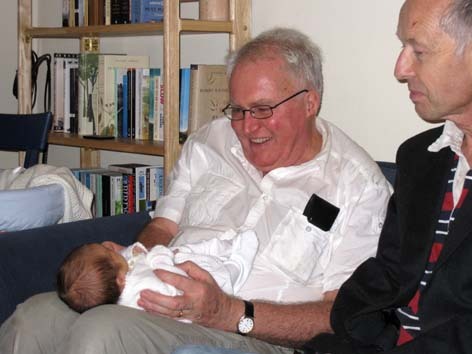 A few of the Shrestra Family – we now feel part of it too (and hope that they feel the same way about us). 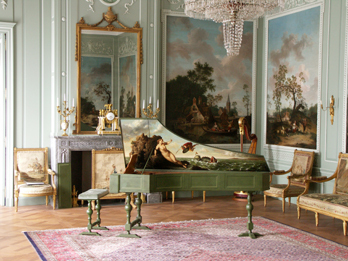 The Neapolitan Harpsichord in our sitting room before taking it to Bergen op Zoom and in its rightful place in the Period Room in the Markiezenhof Museum in Bergen op Zoom in the Southern Netherlands. The restoration of this fantastic Neapolitan harpsichord should have been finished in April. But there were numerous pitfalls along the way. 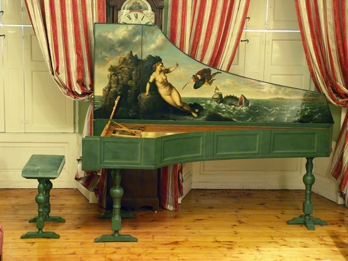 The re-opening of the Markiezenhof Museum was marked with the inauguration of the harpsichord in a grand concert given by the world-famous Dutch harpsichordist Gustav Leonhardt (October 24, 2009). The harpsichord had numerous last-minute problems and the final voicing and regulation had to be done after we arrived with the instrument 2 days before the concert. The instrument sounded wonderful and confirmed Grant’s theories about the superior qualities of Neapolitan harpsichords. They are surely the Stradivarius of the Italian harpsichord world. And with Stefano Pessione’s painting of Andromeda and Perseus (and the horrible sea monster!) on the lid, and his trompe l’ouille exterior decoration it looked fantastic as well. 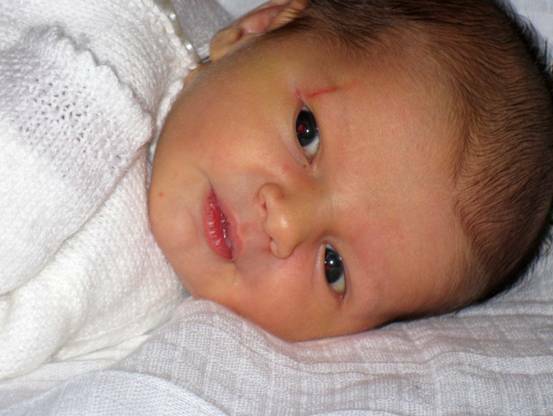 Alex aged two days and already smiling. What a clever boy!